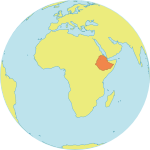 BENISHANGUL-GUMUZ, Ethiopia – Three times, Abebech Kabla has given birth alone in the woods. Each time, she thought she might die. The first time, she was only 13 years old, a year into her marriage. “Even after giving birth, I didn't go back to my house for seven days until I became clean from blood,” she said. Ms. Abebech belongs to the Gumuz ethnic group in western Ethiopia. Many members of her community believe a woman’s blood is cursed. During menstruation, a woman is expected to leave the home. She may even be handed food with a stick so that no one touches her. And when a pregnant woman goes into labour, she is sent to the bush to give birth by herself. It is thought that if a woman gives birth inside a home, or anywhere near it, her baby could become ill or disabled, or the family could suffer misfortune. Not everyone shares these beliefs, but they are widespread enough to cause enormous suffering. Ms. Abebech tells the story of one friend whose baby was in the wrong positon during labour. Alone, in the wilderness, the woman died tried to give birth. 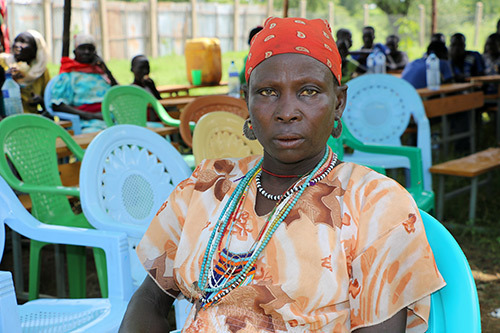 Things began to change for Ms. Abebech when she was pregnant with her fourth child. Around that time, an organization called Mujejeguwa Loka (meaning ‘dawn light’ in the Gumuz language) Women’s Development Association became active in the area, challenging harmful practices that had long gone unquestioned. In addition to taking on childbirth in the bush, the organization also aims to end child marriage and female genital mutilation (FGM). The organization works with communities to raise awareness of women’s and girls’ rights, and advocates for women to give birth under the care of a skilled attendant, such as a nurse, midwife or doctor. Mujejeguwa-Loka also advocates for the enforcement of policies that ban harmful practices and gender-based violence, and helps survivors obtain health and legal services. Tirhas Mezgebe founded the association in 1996. Her work has brought her face-to-face not only with practices that are dangerous for women, but also with the stark gender inequalities that reinforce those practices. “One horrifying case I remember is that of this very young girl who went to the woods to give birth and lost her baby, eventually suffering obstetric fistula due to the prolonged labour,” said Ms. Tirhas, referring to a devastating childbirth injury. Fortunately, Mujejeguwa Loka was able to intervene. “In collaboration with the police, we managed to bring her back to her family,” Ms. Tirhas explained. The Bulen, Mandura and Pawe districts of Benishangul-Gumuz Region – where Ms. Abebech lives – are predominantly inhabited by the Gumuz community. Approximately 13,000 women of reproductive age live in these areas. There, UNFPA is working with Mujejeguwa Loka to improve the status and health of women and girls. Through a programme funded by the Netherlands, UNFPA has helped advocate for an end to the practice of giving birth alone in the bush. And these efforts are having an impact. Reliable local-level data are difficult to obtain, but one recent evaluation showed an increase in the number of women giving birth in health facilities. UNFPA is also supporting efforts to stop FGM, child marriage and violence against women. For instance, UNFPA funds a Mujejeguwa Loka safe house and rehabilitation centre, which provide social services, protection, psychosocial support and health services for survivors of violence in the Mandura and Assosa zuria districts. Mujejeguwa Loka’s messages emboldened Ms. Abebech to insist that she give birth to her fourth child indoors, where someone could assist her if complications arose. She said some members of her family even threatened her life. When nothing bad happened during or after the childbirth, Ms. Abebech felt vindicated, she said. And she has not backed down. Her last child was born at home, too.